Culture, the most potent power, you know! Culture can over-ride many other determinants of how a country or people are judged. So, culture’s power of impacting countries and societies need to be understood and reiterated. Leonardo Da Vinci and Michelangelo, just the two from Italy to have made the world a civilized place! This is a very rare and important book by a well-regarded popular writer who has produced some outstanding biographies. One is on Steve Jobs and many such well-researched and written in a very engaging style. Da Vinci art sells for $450mn! Salvator Mundi fetches highest known price for a painting, at auction or privately. Back in 2005, a badly damaged painting that had been partly painted over, and attributed to a disciple of Leonardo da Vinci, was bought by a consortium of art dealers for less than $10,000. The art dealers restored the painting and documented its authenticity as a work by Leonardo. On it became the most expensive painting in the world. Called Salvator Mundi, Latin for ‘Saviour of the World’, it sold for a record $450 million at auction on Wednesday, smashing previous records for artworks sold at auction or privately. 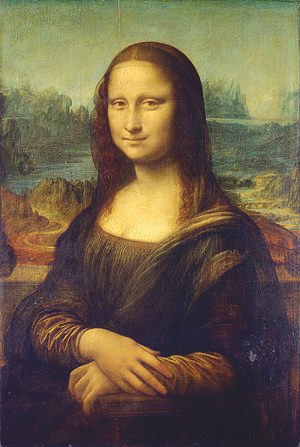 It is one of fewer than 20 paintings by Leonardo known to exist and the only one in private hands. It was sold by Christie’s auction house, which didn’t immediately identify the buyer. Very recently, there are reports in the media that a recent rare painting supposed to be one by Leonardo Da Vinci, titled Salvator Mundi, came for auction and that fetched an unbelievable 450 million dollars. This is the highest price so far for a painting. Even Da Vinci’s well-known painting Mona Lisa has not been priced at a high price. Anyone who knows something or other of small or big news about Da Vinci knows how great he is in the history of the world art. His contemporary and somewhat rival, Michelangelo came near to him in art and what Michelangelo achieved in both sculpture and painting Da Vinci did in one picture, that of Mona Lisa and till this day no one has deciphered the secret of the smile you find in her picture. Before we proceed further we have to take some time to make the Indian readers at least to realize how art is such a power, then and why, even now. I had written elsewhere about how a country or a society becomes powerful, both materially and otherwise, culturally and, to put it rather in an unsophisticated way, unsophisticated to me at least, even to win politically some sort of an international sense that you have to be a civilized nation, at the elite and the popular level that you can win world opinion if you are a civilized nation. This may sound a bit crude and unpleasant to some sections; it is art, culture and fine manners, best etiquette and good manners only if you show that you are a civilized society. Seen in this light I like to cite the two countries, both in the Gulf, Qatar and now more recently Abu Dhabi, both have embarked on areas outside the crude political power and economic strength. Qatar runs the world’s most independent Television Channel, namely, Al Jazeera and is going to stage the Formula One football sport and Abu Dhabi recently opened a Louvre Abu Dhabi art and culture museum, as a Light to the world that had drawn much favourable attention to this small Gulf country. Two small nations, geography-wise, yet two great attempts to bring in culture as a civilizing influence on the world affairs. This, in my opinion, is going to be the world’s future path to create a one-world consciousness. After all, given the developments in the material world, in the economic and other power political environment that given the climate change and other issues of environment and rising pollution and also limiting opportunities to spread the international aid and philanthropy etc., even as on date some 300 million children in the world don’t go to school! This is a terrible situation and a serious reality of what we, as world citizens can’t do anything about this terrible reality. Also health! As Bill Gates has pointed out, as he had met the Chief Ministers of India; that India is also lagging behind other middle income countries, our health budget is far behind other similarly placed middle income countries. Also, as the recent incident in Delhi showed how the private so-called corporate hospitals do, very unacceptable medical costs is one more emerging challenge. How to make medical care affordable for the vast mass of people? These are terrible realities. So, what we are all doing? Not much, we have to sadly admit and become rather silent for some time atleast! Politicians’ rhetoric is one thing. This, we can put up with. But then there are the elite, the most gifted and the most privileged on the other side. We can also dismiss the voices of the big corporates. At the end of the day no Capitalist voice would win credibility. There is always the private profit motive to disengage us from the corporate glitzy voices. So, you have to fall back on values, values that are derived from the non-material world. From philosophy, religion, from voices of sanity, from individuals living or those of the past, if we recall, we can only think of names like Socrates, Plato and Aristotle, may be from the Christian fathers, the Saints who, individually and collectively, sacrificed their lives and energies to uphold what they thought as man’s highest aspirations and strivings. The biography of Da Vinci comes at the end of such thought processes. At least from my end! 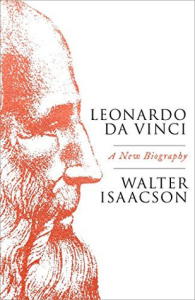 Now, to review the current book, a full-length biography of the great Renaissance artist is almost an impossible thing. First, it is too important book, very lengthy and very carefully written and full of dense matter. What I was surprised when I glanced through the pages rapidly, is that on the very day, newspapers in India had reported the unprecedented sale of the Da Vinci painting Salvator Mundi, this very book itself carries a description of the very same painting (pages 329-334). So, this was a distraction for me! Second, I myself had travelled to Florence where Da Vinci had lived, first from 1464-1482 and again for the second time from 1500-1506, also he lived in Rome (from 1513 to 1516) and so he was a contemporary of Michelangelo. There are delightful comparisons and contrasts of the two rivals, Da Vinci, very elegantly dressed while Michelangelo, always not so well-organized etc. 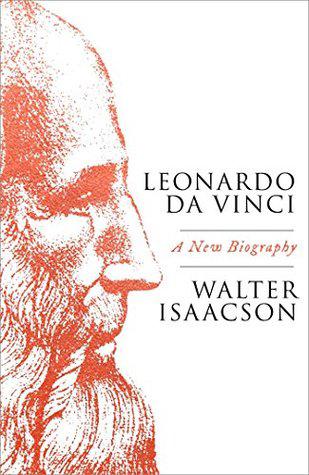 The one chapter I eagerly sought to read is the one chapter (chapter 31) on the immortal painting of Da Vinci, Mona Lisa. So much new information! So too the sculpture making of Michelangelo of David, the white marble statue which we were taken first while in Florence. The sitting of David first in the civic square, called Palazzo Della Signoria, now the Palazzo Vecchio which in 1498, as given in the book, delighted me. So sparsely populated! Now, the square is full of people, mostly tourists. Even now, cars and other vehicles are banned. So, beautiful and so narrow the Florence roads. From one end of the square our tourist guide, a well-informed lady, took us through a narrow lane to the other side of another square. On the way, she stopped and called us closely and pointed to a room above us. She said:”Look at the room above! That is the room where the famed Mona Lisa lived!” Mona Lisa was and continues to be the most famous painting in the world, now jealously guarded by armed guard at Louvre in Paris! There is a whole chapter on Mona Lisa painting alone in the book. I don’t pretend to have read the whole book. It is a book for your leisure reading. The book reads well. The English language style is very comfortable to read through. You don’t feel tired by any new words of phrases. The style is very transparent and supple. If you really want to learn anything serious about art and culture and how the world had evolved through the ages, from Greece, to Rome to Renaissance, then, this is the book for enlightened readers. A reader becomes enlightened once he or she reads this magnificent book. How great we have been living through such times. Beyond all wealth, there is the intellectuals and artistic wealth, the cultural wealth. We talk of culture in a special way. It is not the gun culture of the most materially affluent country, namely, the USA. Culture must inspire and elevate us to a higher sense of knowing and appreciating intellectual wealth. This is a book of that category.